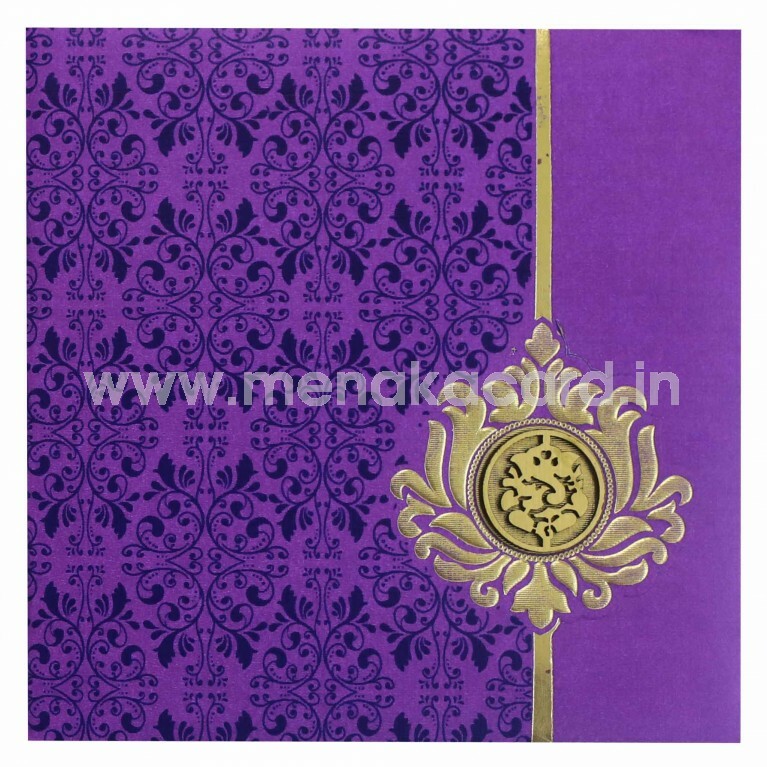 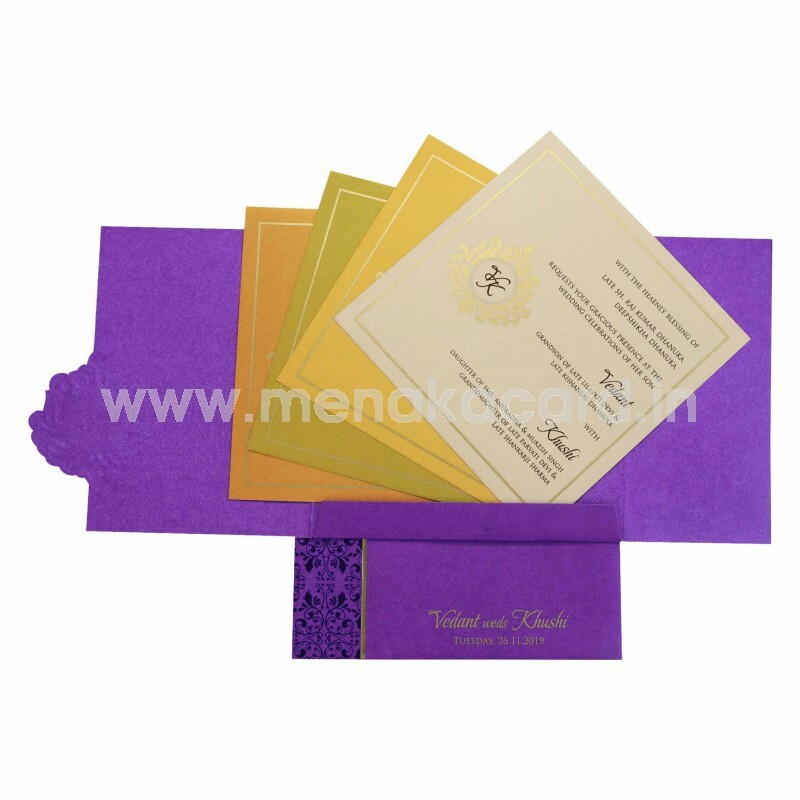 This vibrant purple card is a classy damask motif card made from a shimmer board material. 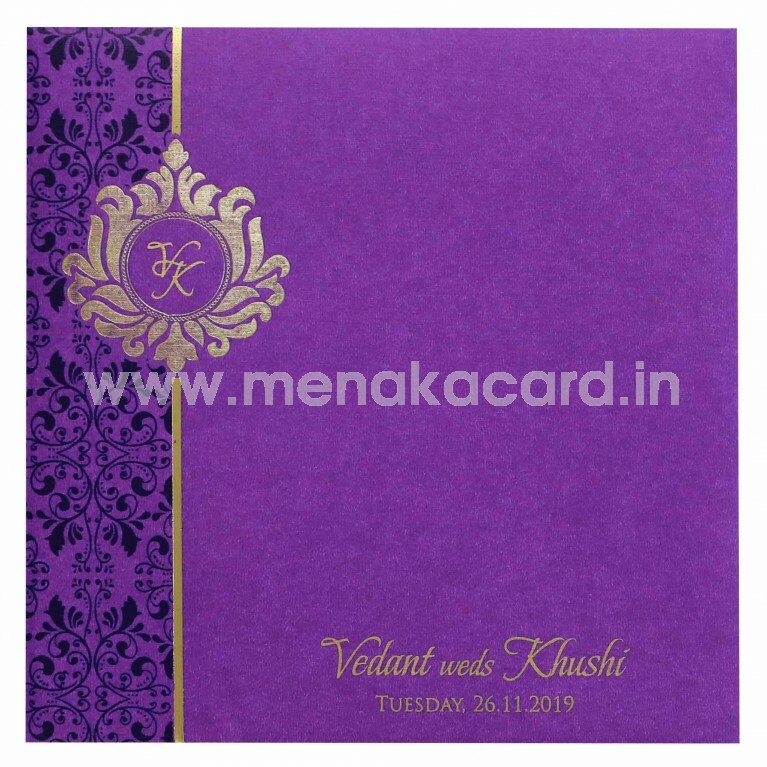 The main door of the card has a beautiful ornate strip and gold embossed frame housing a beautiful laser-cut Ganesha sticker on the die-cut flap that has the damask printed on it in deep purple over a plain lower flap. The 2 default inserts sit in a solid card flap with content in contrasting gold and colour ink on cream, orange, green or yellow inserts made from shimmer board. The envelope reflects a printed version of the damask frame and print. 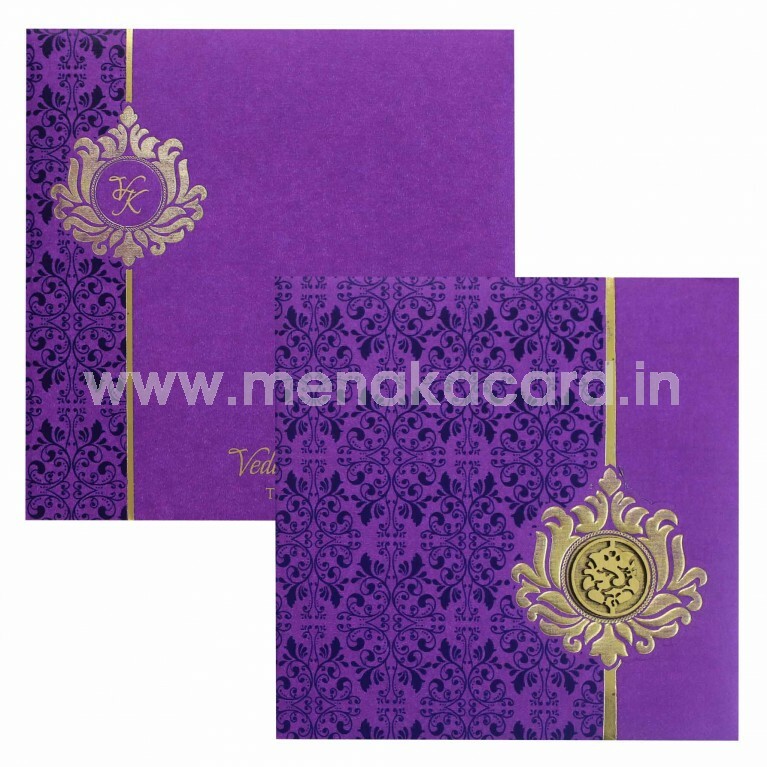 This can be used for Hindu weddings, engagements, receptions, housewarmings, upanayanam etc.